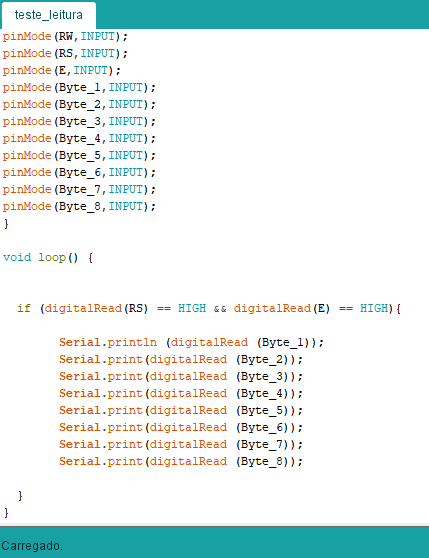 Referring to post: LCD data read and show on computer It was not clear what the final code is. Could you post the code and schema again, and if possible, an explanation of how it works? 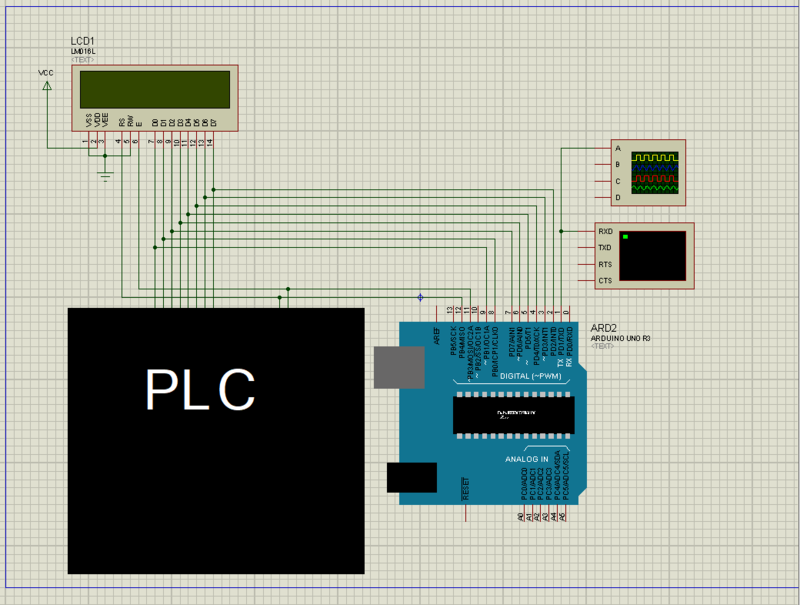 I need to read the information of a lcd 20x4 display, which is controlled by a PLC (which has the protected hex code), and send the data through the serial port. For this I am using an arduino one to do the reading. I connected the arduino in parallel with the display data bus, to try to read the bits and convert later. Note: I have placed 1k resistors to make the pulldown on each pin, to avoid reading errors. No matter what appears on the screen, they are always invalid characters. If someone identifies where my problem is, I'll be very grateful. Since you need the RX and TX lines (Digital pin 0 and 1) for your serial communication, you will have to split the signal onto two registers. 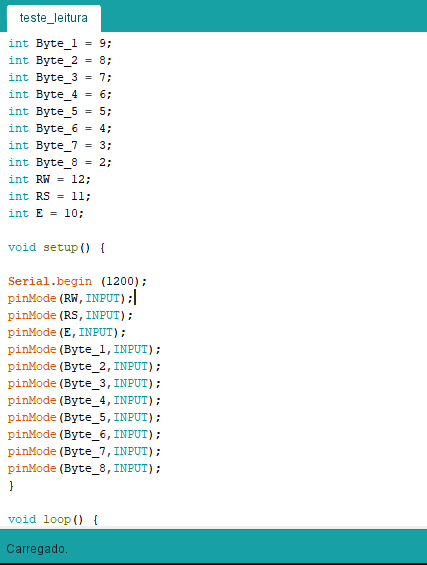 I would recommend connecting D0 through D3 to Digital Pins 8 through 11 for the first four bits (meaning they'll go to bits 3 to 0 of Port B), and D4 through D7 to Analog Pins 0 To 3 (meaning they'll go to bits 3 to 0 of Port C). RW goes to Pin 7, RS to Pin 6, E to Pin 5. Please note that I have not tested this, and only recently have gotten started in AVR / Arduino. If anyone can look this over, I'd greatly appreciate it. How to add toggle button for LCD display text and backlight?